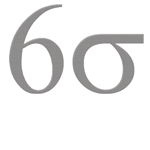 Six Sigma professionals such as Black Belts certainly know how to make the best possible use of Six Sigma concepts and methodologies, but more often than not, the going still gets tough for them because if you look at Six Sigma implementations, you will realize that it’s often a full-blown war out there. You will easily notice that the unexpected implementation problems and issues are the landmines that often take a heavy toll; the lack of support from project sponsors and top management represents the big guns that can decimate a battalion; and employee disinterest is the small weapons fire that just refuses to die down and often seems to be coming from all directions. So, how do Black Belts actually survive this onslaught and go on to win the implementation war? Well, it’s simply because just like the enemy, they too have many war-winning weapons in their arsenal and they know exactly how to use them to win over the enemy. Making mistakes is certainly not the preoccupation of Black Belts because most of them have in depth technical knowledge and expertise. They have the requisite qualification and training and know exactly how to make the best possible use of available tools and techniques such as Affinity Diagrams, Cause & Effect / Ishikawa / Fishbone, Control Charts, Design Of Experiment and Document Control. All these and more represent the virtually unlimited rounds that Black Belts often have at their disposal and are free to use them as and when needed. The strong leadership and communication skills inherent in most Black Belts helps them to overcome the challenges of Six Sigma implementations. With these skills, they are able to develop a good rapport with all the stakeholders such as the employees, the Project Sponsors, the implementation team members and the top management officials. This way they are able to make all the individual components work together as a big, well oiled war machine that is capable of sending the opposing forces into oblivion. This is probably the best weapon in a Black Belt’s arsenal since this is the one that often comes handy every time the comrades seem to lose their fighting spirit in face of niggling problems and issues. Domain experience empowers Black Belts with the right attitude that is necessary for taking the crucial and strategic decisions during the implementation phase. This is a lot better than rushing back to the headquarters for advice, every time the implementation team faces a roadblock or a virtual dead-end. There are many other weapons and weapon-systems that Black Belts can use, but the ones described above are those that often make all the difference between winning and losing. It’s no surprise then, to know that most Black Belts often depend on these to win the Six Sigma implementation wars.